Everything you need to ensure your product’s emails reach your customers’ inboxes. 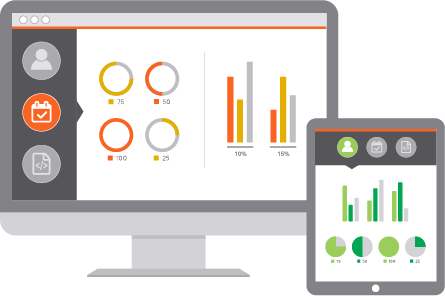 Know what happens when you send with real-time email analytics and performance data. 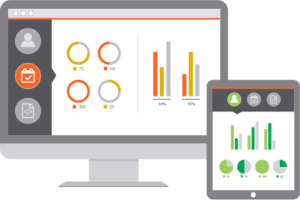 Understand if your product emails are activating users effectively and discover how to improve the customer journey. 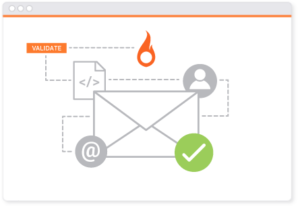 Improve inbox placement and optimize customer engagement with reliable email deliverability. Ensure that your most critical emails reach the customer inbox when you need them to most. 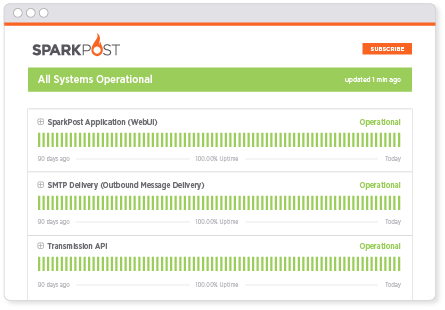 SparkPost delivers 99.99% uptime reliability. 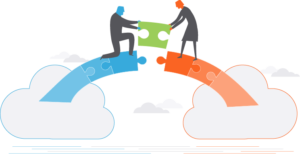 Confidently send as many emails as you need from your product, app, or website and achieve industry leading inbox placement with secure email delivery. 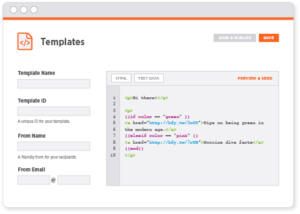 Customize the emails you send and create dynamic personalization with flexible emails templates. Programmatically tailor each message at the individual recipient or list level. Your success is our top priority. 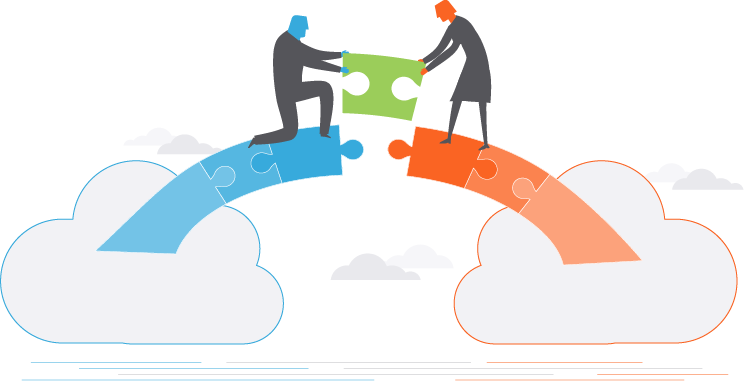 Our assigned Customer Success Managers (CSM) work with you at every step to ensure that your product emails are making an impact and improving the customer experience. 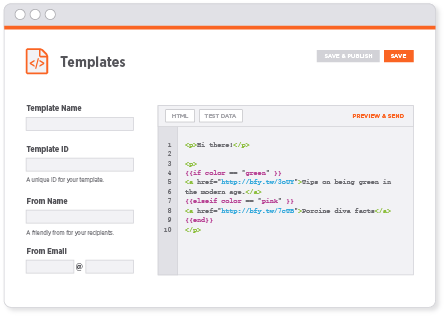 Easily embed email into your app, website or product and effortlessly take control of manipulating templates, generating messages, sending emails, and reporting performance. 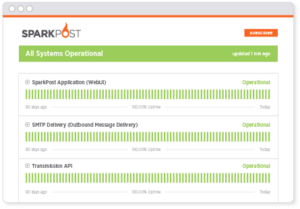 Protect your sender reputation by guarding against bounces, errors, and even fraud. 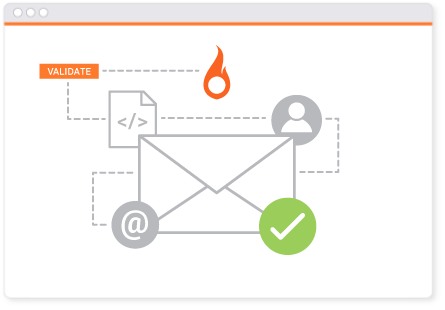 SparkPost Recipient Validation is an easy, efficient way to verify that addresses are valid before you send.